Does life have to be this complicated? 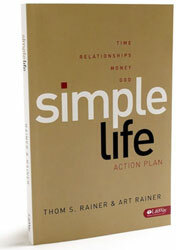 Simple Life offers you a better way. Based on the author's interviews with more than one thousand people, this study reveals insights into the common struggle to bring balance and order to Life. 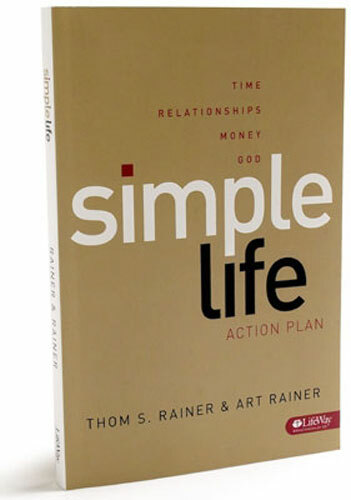 Addressing the four key areas of time, relationships, money, and God, Simple Life will help you decide what's really important and will give you a practical action plan for reorganizing your life around your priorities. By following the steps of clarity, movement, alignment, and focus, you will learn how to live with intentionality and purpose - the simple life. Simple Life Leader Kit [item 005254025] provides resources for the leader of six group sessions: one member book, one hardcover book, and one DVD that includes a promotional segment and presentations by the authors.